When an employee quits or is terminated, or when they go on short- or long-term leave, you’ll need to indicate that in Wave. 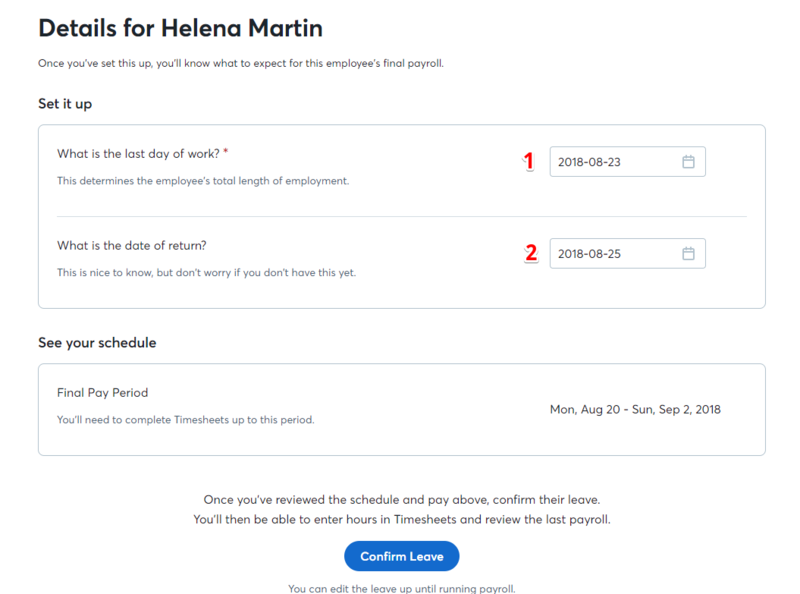 Doing so keeps your business compliant, and ensures you’re only being charged to run payroll for employees who are currently working. As an employer, you are legally obligated to keep accurate employee records; this includes updating employee statuses if they leave your employment permanently, or for a short time. 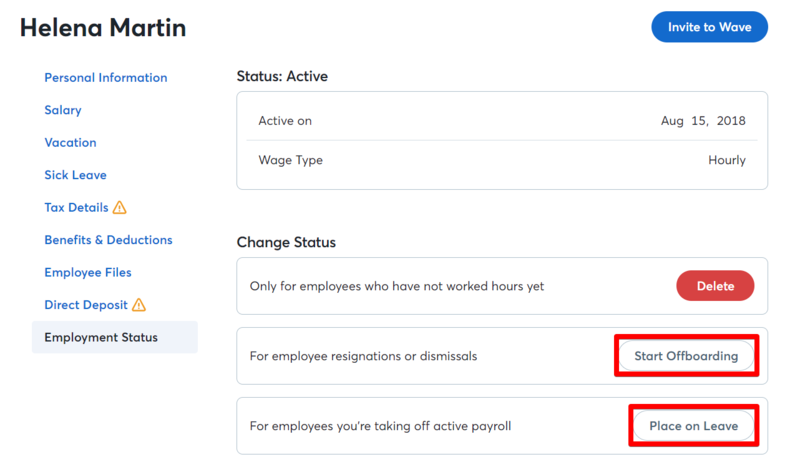 You can update employee status under Payroll > Employees. Click the pencil icon next to the employee you wish to update, and then select Employment Status. The chart below lists some common scenarios and how to handle them in Wave. An employee is considered “active” if they are currently working or scheduled to work. If this isn’t the case, make sure you update their status to remain compliant.